Adam Michael has his to say “An extremely pleasant natural isolate, exuding an unmistakeable odour of fresh mushrooms, very gourmand, gently nut like, sensationally fresh and so close to the real thing. More mushroom freshness dominates the middle notes with distinct fresh crushed herbs and light minty undertones. 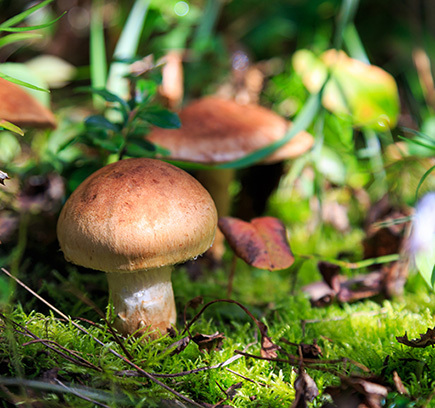 Basically a top note, octanol 3 features in the aroma profile of many mushrooms including boletus, forestiere and shiitake mushrooms. I am more familiar with amyl vinyl carbinol as far as fresh mushroom notes are concerned, but this related molecule seems very good too, and the natural isolate will always be preferable. Mushroom forms a key part of the lavender complex which is the traditional use, but forest floor seems an obvious destination for these fungal scents. Very powerful, with a slight fruity edge like pear drops.